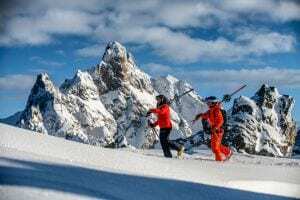 Despite its expansive terrain, Serre Chevalier is much quieter and often better value for money than other large French resorts, which makes it an excellent and affordable place to bring the whole family. It has extensive terrain for beginners and intermediates so is ideal for children to build their confidence, develop their technique and have fun with our fully-qualified and experienced instructors. Children learn differently to adults and we use that knowledge and our experience to plan our children’s courses carefully to ensure each child is safe, has fun and improves, without feeling like they’re stuck in a big white classroom – they are on holiday after all! 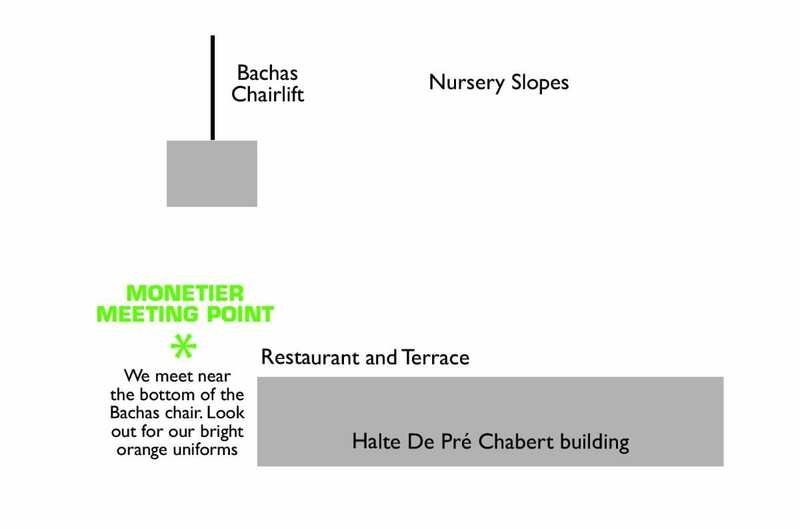 We run a full programme of children’s ski lessons in Serre Chevalier from our four-year-old Whippersnappers to all-mountain pros in our Freeride Team (up to 13 years). Heard about Snowlife Awards? We use the Snowlife Awards system for our children’s ski groups, as recommended by BASI (British Association of Snowsports Instructors). All children in our groups must be adequately dressed, wearing a helmet and protective eyewear for each lesson. Please contact us for availability if you’re travelling out of school holiday times as we may still be able to offer children’s lessons. We want to ensure your child is safe during his or her time with us. All our groups have fully qualified, experienced instructors, accompanied by a helper for Whippersnappers, for example. Every lesson requires that they wear helmets and ski school bibs. We check they have everything they need; sun cream, protective eyewear, money for a snack stop. We operate a secure sign-out system so every child is handed over to their parent or pre-determined guardian. We teach them to ski in a safe manner and on terrain that will stretch but not exceed their ability. We love skiing and being in the mountains and we thrive in sharing our enthusiasm with children. Children learn in a different way to how adults learn; we put a high emphasis on games, challenge, and adventure so that they’re having enormous fun… while learning. This might involve activities such as a mountain-wide treasure hunt, trip to the jump park or a mini Olympics. The week always finishes on a high with certificates, badges and big smiles! Children’s ski lessons are an investment that we take very seriously. Behind the fun, we know that you want your child to progress and develop into a competent skier. Each course has aims and goals that prepare them for the next stage, and we keep a record of their success and progression each year. Our carefully thought-out pathway helps your child progress into a competent and confident skier. Get ready to enjoy family ski days with confident inspiring children leading the way! Our children’s ski lessons are split into groups from six year olds right up to all-mountain teens aged 13. So whether this is their first time on skis or their 10th week, we’ll ensure they improve and have tons of fun in a sociable and supportive setting. Our youngest group, Whippersnappers runs for just 2 hours a day as little ones tire easily at such a young age. Groups are limited to six children, with a helper when there are three or more. This ensures they get plenty of individual attention. Wallaby! Arrow? Bomber, Rocket, …! Our children’s groups have different names and we are careful to ensure children are placed perfectly in groups based on their level, age and experience. Upon booking, we aim to get as much information as possible from you about your child’s ability. For more info on the group levels see our children’s level guide. Teens already out-skiing you? Outgrown children’s groups? They don’t fancy being stuck with adults all week? Book them onto a specialised Pro Rider teen group! Pro Rider sessions give your teen the opportunity to experience new aspects of skiing in a fun environment. Day one is a warm-up day, getting back into the groove of skiing. Then we’ll spend three days working on race technique, off-piste skiing and avalanche safety (rucksack, shovel, probe, and transceiver provided free of charge subject to availability). On the final day, the group chooses what to focus on, taking into account the snow conditions, weather and the aims and desires of each skier! Pro Rider Sessions for teens are for Level 6 skiers, aged 13-17yrs. This is open to all children’s groups at Christmas, New Year and Easter, except Whippersnappers and Arrows. Availability depends on our schedules and we require a minimum of three children to join the session. It’s not always easy to recognise what level you are at. So here at New Gen we’ve made some handy videos to help. Determining the right level early on is really important – we can then ensure you’re in the right group, so you get the most out of your holiday and your time with us. Take a look at our selection of ski videos to help you decide what level you are. Whippersnappers & Wallabies – under 6 year olds FREE. 6 years olds upwards can get a beginner pass on the first day at least. Your child’s instructor will be able to tell you when a full area pass is required. Our average group size is just four skiers! For our Whippersnappers (our youngest skiers), we have a maximum group size of six, with a helper if there are three or more children. All other children’s groups have a maximum of eight children. All of our group lessons for both children and adults are taught in English, with either British or fluent in English instructors. Our lessons are only 2 hours long in Serre Chevalier so we don’t normally stop for a break unless it is particularly cold and snowy so we can maximise out time on the snow! We do our best during the booking process to ensure this doesn’t happen but if the instructor feels that your child is in the wrong group we will endeavour to move him or her into a more suitable group. Our children’s lessons run in Serre Chevalier during peak weeks and on request, so please do contact us for availability if you’re traveling outside of school holiday times. All our children’s groups have a focus on fun and learning through a play environment. Children learn differently to adults and we use that knowledge and our experience to plan our children’s courses carefully to ensure each child is safe, has fun and improves – without feeling like they’re stuck in a classroom! All of our lessons are in English and our groups are small (average four skiers) and friendly.